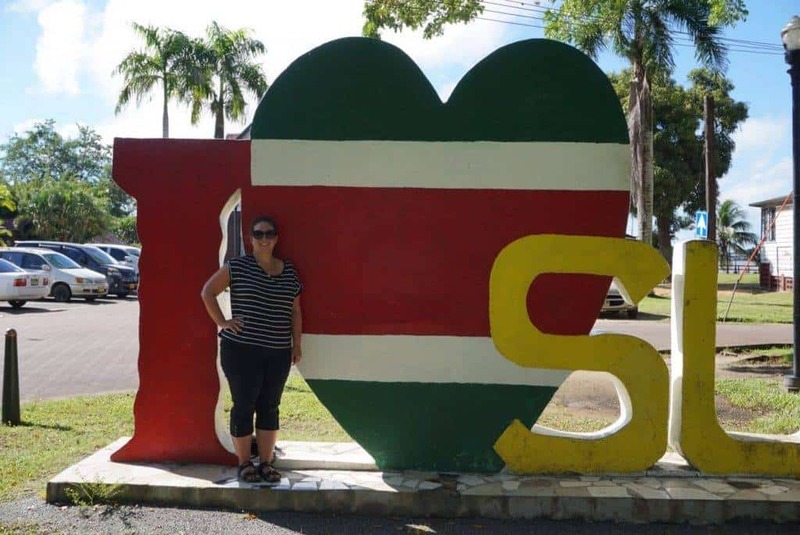 I’m excited to share my experience with you from spending four days in Suriname country, the smallest country in South America. Located just north of Brazil and above the equator, Suriname has a lot to offer for such a small country. That is why Suriname is called Earth’s Greenest Treasure. Fun Fact – Dutch is still the official language of Suriname and there is only one cinema located there! Also, they drive on the left in Suriname. Guyana is the only other South American country to do so which border Suriname along with French Guiana. The population of Suriname is only 550,000 people so there is plenty of space to explore! The biggest draw for travellers coming to Suriname is the unspoiled nature. Over 90% of Suriname is covered in primeval rainforest – the largest proportion of any nation in the world. 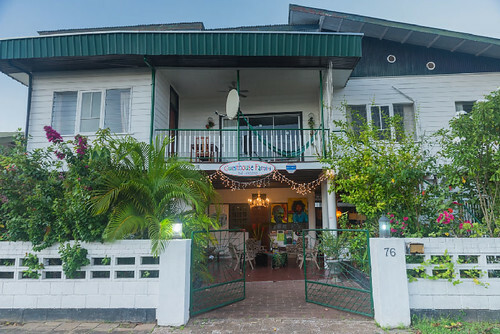 When I was planning my trip to South America, I knew I wanted to explore Suriname. So what does a four day itinerary look like? 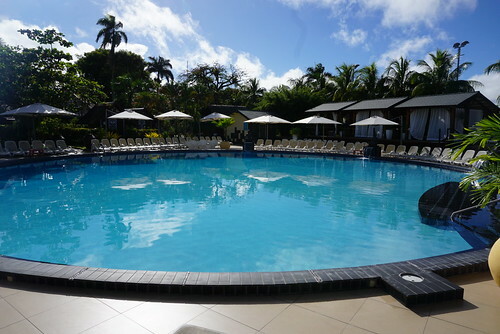 Its jam packed with activities and looking at the untouched beauty of the country.I arrived from Trinidad to Paramaribo, the capital of Suriname and stayed at the Torarica Hotel Hotel and Casino. This hotel is part of the Torarica Group of Hotels, which also includes Royal Torarica and the Eco Resort. The city is extremely walkable, and the people are among the friendliest we’ve ever met on our travels. There is a wealth of Dutch colonial architecture which is a UNESCO World Heritage Site. The food, also, was a major hit, combining Chinese, Creole, and Indonesian elements.I highly recommend a city tour around Paramaribo. About half the population of Suriname live in its capital city Paramaribo, which has more people than the next nine cities put together. The historic center of Paramaribo is considered one of the most culturally interesting areas in this part of South America, and it is a UNESCO World Heritage Site because of this. Most of the buildings are made of wood and date back over 100 years. Even the Basilica of St. Peter & Paul’s Cathedral is made entirely of wood with the inside being decorated with it. 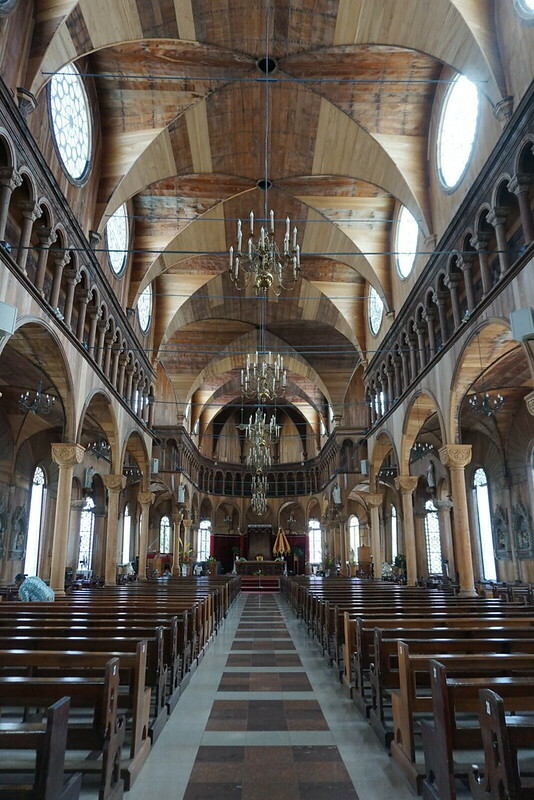 Paramaribo is also one of two cities in the world where there is a mosque next to a synagogue. This is a prime example of how Suriname is a mix of cultures and all holidays are celebrated in Suriname. I took a city tour through Bondru Tours which gave me a lot of history and background on the city. You can also visit Fort Zeelandia along the waterfront. During a visit to Suriname a visit to Brownsberg should not be missed. I went with Celestial Tours Suriname to the pristine forest about three hours south of Paramaribo. Here we were able to see monkeys including the gold footed tamarin and we hiked to a beautiful waterfall. At one point we made it to the top of the hill overlooking the forest and all you could see for as far as you could see was forest leading to Brazil and the Amazon. How cool is it that a country like Suriname takes pride in their forests and biodiversity. I was also able to take a combined sunset river cruise to see the dolphins and then to see sea turtles laying eggs on the beach. This was absolutely one of my favourite experiences ever. First to see the cute pink dolphins swimming in the river and jumping and playing was adorable. 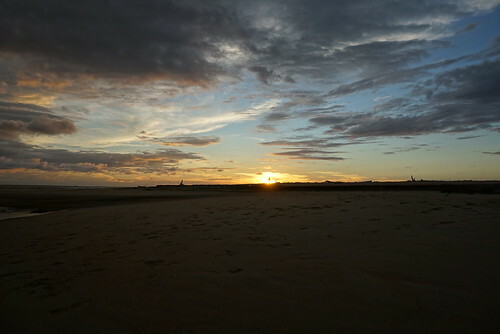 Then to see enormous sea turtles come onto the beach to lay their eggs was incredible. We were able to see three turtles, all leatherbacks and the biggest one was 1.6 metres long and they estimated it weighed 1100 pounds. Amazing! And a big shout out to Raul the owner of Celestial Tours who is very passionate about Suriname and an amazing guide. The tour finished at midnight and then I returned to B&B Famiri which was a lovely guesthouse. For my last day I went to the Suriname Bird Paradise with Tourtonne Taxi Service. The Bird Paradise is about an hour outside of Paramaribo and houses some very rare birds that are only seen in the interior of the country and are very difficult to see. I was able to stroll around in a massive enclosure to see the birds and also deer located there. This was a really cool experience and I was able to see species most people will never see. At the end of the day I said it was like hanging out with friends all day with friends complete with a lovely chinese meal. This was a very relaxing day for me. And just like that my time in Suriname country was up. I took an early flight back to Miami. I used Tiger Bus Transport and Tiger Tours and Transport for a lift back to the airport which is about an hour outside of Paramaribo which was great as they picked me up at my guesthouse and took me safely to the airport with my trusty backpack at my side. Time to leave Suriname country. I want to thank the Suriname Tourism Foundation for making this trip possible to Suriname country. I stayed at the beautiful Torarica Hotel for my first two nights and then onto B&B Famiri for my last two nights. As always all opinions are my own. Really love the idea of a trip here – so much natural beauty and culture too. Paramaribo sounds like a must-visit (I had never heard of it before, which is bad). What a beautiful post! Did your jaw drop when you entered that cathedral? Your nature photos are also very enticing. Looks like a beautiful place. I’ve only heard the name, Suriname but now long to visit. 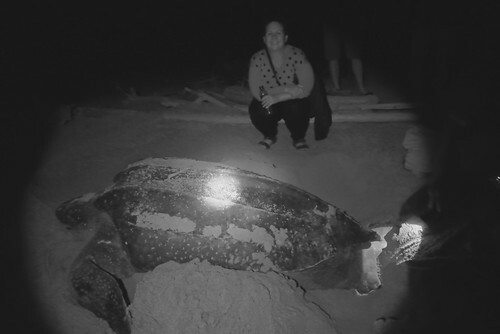 How beautiful to have been close to a Leatherback turtle laying eggs! I hope they’re helping to make sure the hatchlings survive too. Love bird sanctuaries as well. Thanks for the interesting post. So little is known about this beautiful country of Suriname. It looks like it would be a great place for an unusual adventure. Thank you for sharing. I would love to visit Suriname and didn’t know its nature was so close by to Paramaribo. It must be such a beautiful country. Wow! I love discovering places that are more off the beaten path. I think Suriname definitely fits that criteria! The cathedral looks absolutely stunning, and I can’t believe how big that leatherback is!! What city do you fly into to get to Suriname? I have only heard the name Suriname, didn’t know much about it. Looks lovely, no wonder it is called Earth’s Greenest Treasure. Suriname is very high on my bucket list. I really want to see the nature and all the cultural influences.